Video Game Long Reads – What relationship is there between a game’s narrative and its level of challenge? I’m blessed to have found friends who share in my love for video games, not only by common interest but in a common way as well. I don’t only love games because they’re fun. I also love them because of their unique ability among forms of art to be interactive, and because of the amazing experiences that were made possible by that unique ability. If you’ve read the speech, then I have a feeling I could go on about how I relate it with my personal experiences with the medium. If you haven’t, well, this little site of mine isn’t going anywhere. Take your time, and for everyone who isn’t so interested in games, it’s also a strong message on finding and committing to your dreams. Anyway! This here is another long read. I apologize, I just had so much to say once again. The topic for today? What’s the relationship between the unique narrative ability of video games to put us in the protagonist’s shoes and the way we also enjoy challenge in our games? Stay hydrated, friends, and find a warm place to sit. Oh, and have some beats. In his speech, Crawford mentions the disconnect between his own aspirations for the medium and the direction that the wider industry itself was moving towards. He calls his aspirations “breadth”, meaning more of the human experience should be explored by video games, as opposed to the industry’s aspirations for “depth” in their games, meaning that they wanted their games to be more challenging, catering to the demographic of consumers that were more ‘literate’, more experienced and more skilled at the language of games. For a long time, what I mainly sought in games was that challenge, the depth that stretched the limits of my skill and creativity. But yesterday, I realized I sometimes shot myself in the foot (on my way to enjoy certain games) when instead of keeping in mind that there is more than one way to enjoy a game, I committed to a high degree of difficulty, even when it was clear that those higher levels were not as well-tuned as the ones meant for the average player. Call of Duty, I’m looking at you. But on the drive home from the house of my friend, Craig S, an old-school gamer who coded his own rogue-like games at 15 or so, loves telling stories of his Dwarf Fortress adventures, and is developing a self-replicating mining machine in Minecraft in order to strip alternate dimensions dry and use the materials to power his other inventions, (sorry, all you gamer ladies out there, he’s taken)… Goodness, worst run-on sentence ever. This alley. Hardened difficulty. I tried 20 times. Anyway, my young adults group had been watching a Christian stand-up comedian (Tim SomethingOrOther?) on iTunes that night at my friend Craig’s house and my other friend, Chris G, who’s also into video games, drove me home afterwards. I needed to keep a conversation going in order to keep him awake after a long day at work so, naturally, I brought up video games. Specifically, I asked him about his favourite memories playing video games, or something like that. I don’t remember what his exact answers were (Sorry, Chris.) but one of his answers surprised me: He really enjoyed the campaign of Call of Duty: Ghosts. “I like games that let me play at my own pace,” he said, partly because that was just how he wanted it and partly because he has a wife, 3 young children, and a tough, tiring job. He also mentioned loving games with great, human stories he could relate to, like Halo 3: ODST. Our conversation got me thinking; where has that side of my love for video games gone? And how does it relate to the challenge-seeking, obstacle-climbing side of me? Now that I think about it, I’m also quite in love with the power of video games to put you in the shoes of someone who is actually present in the narratives that are presented to us. My strongest and most memorable (to me, at least) opinions have never been about a game’s mechanics (although, I’m pretty opinionated about that as well). Rather, what I’ve always been most excited about is how a game’s narrative pans out (in relation to how the game actually plays, of course) and how I was there. And yet, I’m still in love with games that don’t offer much in the way of a story or characterization, but are still amazingly fun. These are games like League of Legends, PvP Destiny, CoD multiplayer, numerous mini-games on mobile, etc. So I’ve got to wonder: Where does challenge and the prize of personal fiero, or the pride of victory, stand in relation to the unique ability of video games to make you feel as if you were actually there as it happened? Not as a spectator but as the protagonist her- or himself? 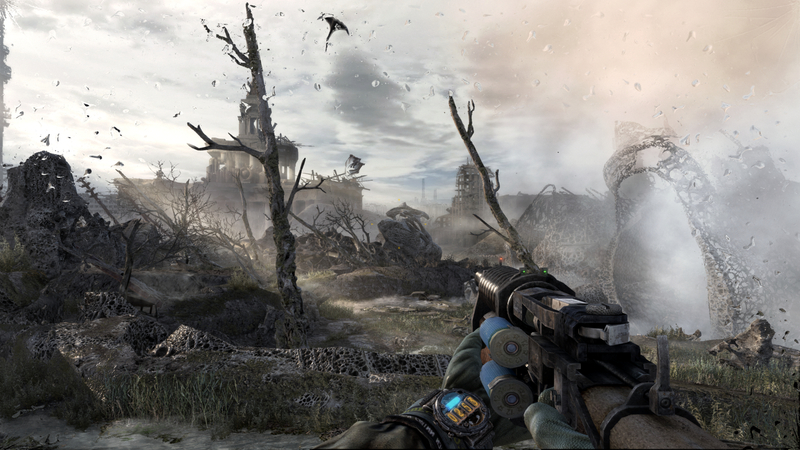 Metro: Last Light. Such a great game. Great story and well-tuned difficulty. Perfectly does what it sets out to do, as far as I can tell. In my opinion, literacy of games aside, everyone has the desire for varied and evolving challenges in video games. Some want more variety and challenge than others, but as Chris Crawford mentioned in his speech, humans play to learn and to learn, you have to be up against something you don’t fully know just yet. Perhaps it’s got to do with how dramatic tension works in other forms of media that tell stories. The more difficult the challenge faced by the protagonist, the more is stake for them and the people they care for, the more we empathize with them. And in a game, the bigger the challenges we face… Well, the more they bother us. But that isn’t a bad thing because we’ve been given tools to handle them, similar to the foreshadowing and context-building stories. So challenge in video games may well serve to amplify the narratives that they present, creating moments that we would feel empathic for and adding the extra ingredient of personal tension that we as players feel. But traditional narratives; stories with a beginning, middle, and end; aren’t the only kind of story that video games can tell. 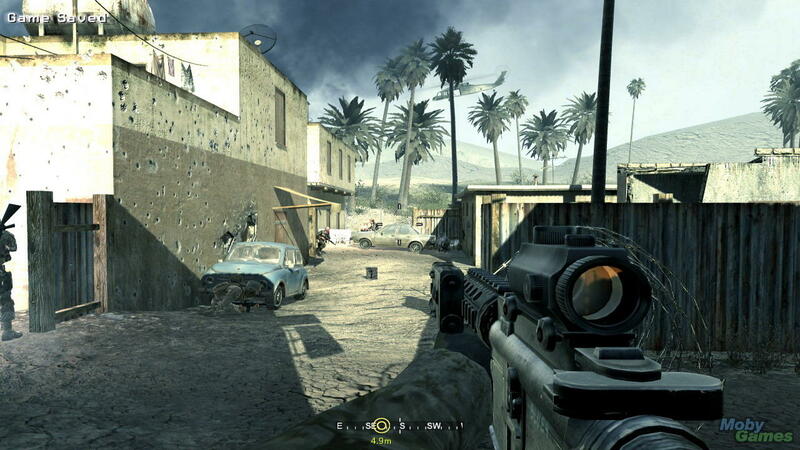 Video game stories can be told through single, game-long arcs; through episodes or side-quests; like movies or TV with a little more freedom of format. But there are also a few ways to tell stories that are exclusive to video games. There are games that seem not to tell stories at all– Instead, they’re hinted at through environmental clues and lore. There are games where your actions affect the course of the narrative. Then there are games where there is no narrative at all; just you and a hostile and/or wondrous world to explore. However the story is laid out, I think it makes sense to think of challenge in video games as having the same role as dramatic tension in a narrative, the thing that gets us invested in a story. Only in a video game, it’s as much our story as it is the protagonists’. Think about it: During the climax of a game’s story, when in a traditional narrative, the audience would be most fully invested and the tension is at its peak, the game’s difficulty often peaks as well. Tension is created by raising the stakes, by the protagonist coming up against progressively tougher obstacles. When we’re the protagonists in a game, the obstacles are the elements of the game that challenge us to learn and react to them. The Daily #6 – Why do I even write daily? Crawford, in other articles, expounds on what he believes is the heart of gaming: interactivity. It’s the ability that games have to interact with you. You act, and the simulated world changes: the more “engaging” or otherwise “immersive” a game is the more we get excited and enjoy it. But the word “interactivity” implies a two-way conversation rather than a passive cinematic experience and this is really the true strength of video games as a medium. You definitely change the gamestate: you move an obstacle, kill an enemy soldier, harvest crops; but the game also influences your decision making too, “I’m low on health and that chest is guarded by four orcs”, “I need these people’s support if I’m going to keep working in this quadrant”, “there is a sniper on that ridge, I’ll go south”. This is the cycle of interactivity: action becomes reaction, which becomes reaction, which becomes reaction, ad infinitum. But in as much as the game is affecting your avatar, the game can also affect the player: you struggle, you plan, you fail, you succeed. This is why I would argue our enjoyment of a particular title tends to reflect more about ourselves than we care to acknowledge: Chris G, for instance, is a kinetic individual with a vivid imagination and a love of stories. CoD scratches that itch. I tend to be more aloof, cerebral, and love making things; hence my affinity for stealth games, technology-related minecraft mods and my distaste for twitch gaming. Hey Craig 😀 I’ll read this comment after I nap but hi! Cool stuff. I’ll enjoy applying the same thought process to my tastes in gaming, for sure.